In 2014, Ukraine exported ordinary weaponry to 19 countries according to a report by the State Export Control Service on international shipments of certain types of weaponry in 2014. Information released by the service has been a basis for the annual UN Register of Conventional Arms since 2004. According to the report, in 2014 Ukraine exported 51 units of equipment including 23 T-82 tanks, 28 armored vehicles, 15 aircraft including 8 helicopters and 6 fighter aircraft, one "Bison" air cushioned landing craft, 18 rocket launchers and over 27,000 firearms. In particular, 11 T-72 tanks were exported to Ethiopia, 12 – to Nigeria. Fifteen BTR-3E1 and two BTR-3M2 armored vehicles were exported to Thailand, 10 BTR-4EN armored vehicles – to Nigeria, and one BTR-4 armored vehicle – to the U.S.
Nigeria received six large-caliber artillery mounts. Five MiG-21 fighter aircraft were exported to Croatia and one to Chad. Six Mi-8 helicopters were exported to Belarus and two Mi-24V helicopters – to Nigeria. The "Bison" air cushioned landing craft was exported to China. Algeria bought 18 rockets and rocket launchers. Firearms were exported to the U.S. which bought 10,166 rifles, Canada – 10,400 rifles, the Czech Republic – 5,000 rifles, Uganda – 3,000 rifles and Georgia – 100 rifles. Sudan received 830 light and 62 heavy machine guns. The Democratic Republic of Congo received one light machine gun, two assault rifles, one rifle, and two handguns. Moldova bought 2 handguns and Peru – 580 handguns. Germany bought 10 launching mechanisms for portable air defense systems, Belarus – one portable antitank guided missile system. Official data on the results of the operation of Ukrainian special exporters in 2014 by Ukroboronprom state concern hasn’t been made public. 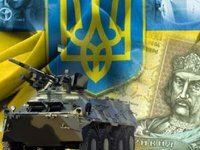 According to Ukroboronprom, in 2013 weapons exports and the special services of the company made an income of $1 billion, which corresponds with the results of 2012. Out of the total exports figure, 43% of exported goods went to Asia, 25% - to Africa, 9% - to Europe, 6% to the CIS (excluding Russia) and 3% - to the U.S. The share of exports to Russia, including double-purpose products, amounted to 17%. According to Stockholm International Peace Research Institute, Ukrainian exports of major weaponry in 2014 amounted to $664 million, which was 6.8% lower year-over-year ($708 million). Russia's annexation of Crimea made Ukroboronprom suspend military-trade cooperation with Russia in March 2014. In June 2014, Ukrainian President Petro Poroshenko announced a ban on military-trade cooperation with Russia, including supplies of double-purpose products. In May 2015, the Ukrainian government canceled the inter-government agreement on military-trade cooperation with Russia which was signed in 1993. Russian military aggression in 2014 also made Ukraine suspend a number of export contracts on supplying military equipment that was ultimately sent to the Anti-Terrorist Operation zone in Donbas. According to Ukroboronprom's plans which were announced in December 2014, supplies under suspended contracts are to be provided via a scheduled increase in production capacity in 2015-2016. At present, Ukraine has military-trade relations with 100 countries.